Raise your hand if you or someone you know has VIB status at Sephora? Your hand up? Yeah, me too. I have no shame in my beauty game. It's not easy shopping for someone who's bathroom cabinet is full of products. When it comes to the holidays, however, I love filling those stockings or wrapping my gift for our secret Santa exchange. If there is one thing a girl will never complain about receiving, it's something from Sephora. This time of year is perfect for gift boxes and the endless possibilities of gift ideas. 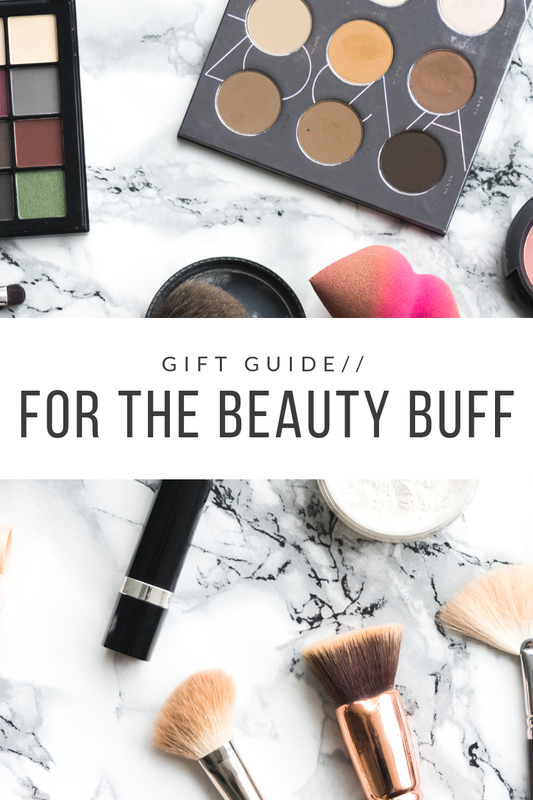 I've added my favorite must-have products that I use, and also have on my Christmas list. 1// The Rose Quartz Face Roller is something I'd like to find in my stocking this year. I hear so many people talking about how great it is for reducing puffiness, fine lines, and wrinkles. Let's face it, this mama needs less puffiness in her life. 2// Fresh Sugar lips are by far my favorite lip treatments. I love how nourishing and soothing they are. Did I mention they come in a variety of shades? Pucker up ladies, because you'll never leave home without this. 3// Drunk Elephant products are worth the splurge. At first, I was skeptical of all the reviews because they have been highly raved about. I bought The Littles kit to test try them before I bought the full size and yup, I am hooked. A little goes a long way with these products so it was worth the splurge. My go-to products are the T.L.C. Sukari Babyfacial, C-Firma Day Serum and the T.L.C. Framboos Glycolic Night Serum. Great gift ideas, thank you for sharing! That trip sounds like a lot more fun than shopping online!